Before investing in the manufacturing of a metal or aluminum injection mold (prototype mold), you may firstly want to test the part in the context of a pilot series. This is why CNC Machining appears as the best option if you need to validate the material or design and make sure it will fit with your requirements. Before the industrialization launch, technicians usually appreciate receiving one or a small batch of prototypes in order to test the assembly or installation of the parts in production conditions. How do I choose between CNC machining and injection molding services? If CNC Machining is the best option, traditional equipment will generate substantial tuning and maintenance cost if not used on a regular basis. These unique development costs would be totally inefficient for your prototyping stage. Located in China, we are able to manufacture your parts in a very timely and competitive manner. 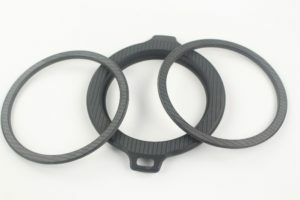 The injection molding process will be more adapted when your prototyping stage requires a higher amount of part in order to cover functional tests and/or for marketing needs. 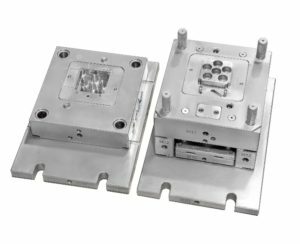 These molds will either enable you to produce pilot parts, that can later be improved, or to rapidly produce small series. 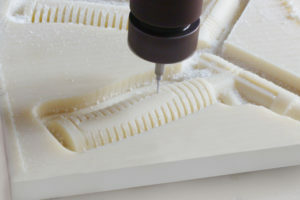 If you are in urge of parts and that you cannot afford to wait an injection mold to be manufactured (usually up to 10 weeks delay), a prototype mold (rapid tooling) shall be the ideal solution. 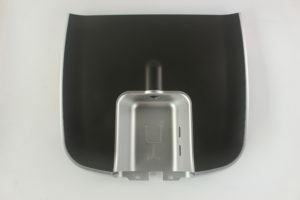 The conception of this mold is much faster as made out of aluminum (which is easier and faster to machine), yet this prototyping technology will give you parts very close to the final production series. Going through a prototype mold and rapid injection process, designers can quickly and cost-effectively benefit from small series of injected parts. At Prototech, we work with advanced aluminum alloys and rapid CNC Machining equipment. With a China-based factory and thoroughly trained crew, we are able to deliver your part quicker than other competitors, at a very competitive price. Do not hesitate to send us your project requirements and part details through our contact form.